Is an iPhone Nano Without Memory a Good Idea? Okay, I told you yesterday the iPhone rumours would be coming in fast and furious, and they have as promised. The WSJ reported from ‘sources’ that a smaller iPhone is coming, roughly half the size of the iPhone 4, along with a revamped MobileMe service for streaming multimedia. Today, Cult of Mac reports that their ‘source’ has dropped a huge bomb on them–the iPhone Nano will not have any onboard memory at all. By â€œsomeâ€ of the memory, we mean ALL of the memory. The iPhone nano will have no memory for onboard storage of media, our source says. It will have only enough memory to buffer media streamed from the cloud. â€œIâ€™m talking strictly storage memory here,â€ said our source. The iPhone nano will pull ALL itâ€™s content from MobileMe. When users buy a movie or TV show on iTunes, itâ€™s available to stream to their iPhone or iPad. The service is based on technology from LaLa.com, a streaming service that Apple bought last spring and then shut down. â€œIt would be a mostly cloud-based iOS,â€ said our source. I agree that cost cutting by eliminating memory is a great idea. But to rely strictly only the cloud for storage means that users will have to change the way they use their device. Want to download apps or listen to music? You’re going to need wifi or data. Is Apple planning on eliminating involvement with carriers altogether by introducing a phone that does not need a data plan? If anyone has taken their iPhone out of the country, you know what I’m talking about. With data roaming OFF by default, an iPhone without connectivity and relying on WiFi will make anyone jitter and nervous like a drug addict. It’s not easy always trying to find a free hotspot to check email. 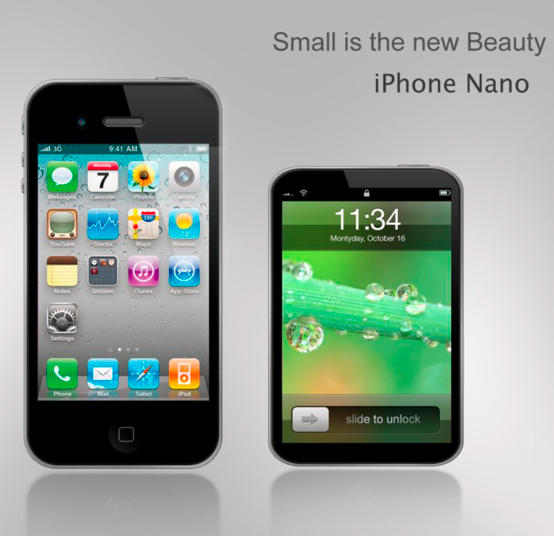 Will the iPhone Nano fall into this category? If Apple’s plan is to introduce an iPhone that will have limited internal memory like the second generation Apple TV, how will users react to this? Our current generation is always on and connected. No memory for music, pictures, or apps and just relying on the cloud is a tough pill to swallow. Lastly, no one seems to mention the carrier infrastructure to support this. 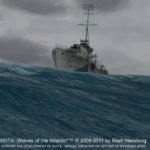 FaceTime and VoIP calls over 3G are difficult enough–what about cloud support for your entire multimedia collection? Apple will not release a product that would qualify as a ‘dumbphone’. The iPhone Nano surely will have reduced internal memory, but to rely solely on the cloud is something we are not ready for yet. Cloud access to your iTunes existing iTunes collection–yes. People want instant access to their stuff, without reliance on being connected. What do you think? Is an iPhone Nano without memory a good or bad idea?